Brittany Callaghan thinks she's dreaming when a blond, nearly seven-feet-tall Nordic god shows up on her doorstep in her tiny California town. He claims to be a barbarian warrior in need of her help. Though a stunning, statuesque beauty herself, intelligent and independent Brittany has struggled hard to earn respect in a man's world. She is taken aback when Dalden, a spectacular Viking who is a long way from home, needs her help - and is willing to pay for it. He's had Brittany's blood running red-hot since she first saw him, and warrior or not, she agrees to help him. ©2004 Johanna Lindsey (P)2009 Brilliance Audio, Inc. I know that this author is most well known for her historical romances and I think that's why a lot of reviewers are disappointed - they aren't getting what they're expecting. However, if you do like romances in a sci-fi sense, this is a good one. The only nit-picky thing I have to say is that the narrator tends to make our main guy sound like a robot. One other thing - this isn't the first book in this trio ... it's actually the last. Readers may not be used to the world yet if they haven't read the first two books. I read them a few years ago, they're well worth it and I hope they show up here sometime soon. 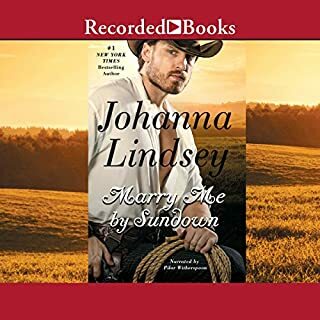 Would you try another book from Johanna Lindsey and/or Laural Merlington? 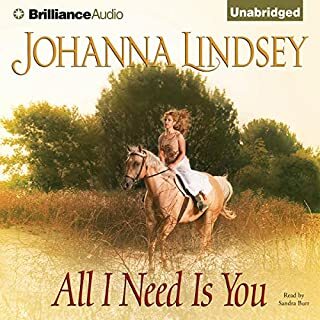 I have read and own every Johanna Lindsey book published, and a few on audible as well. I expected to enjoy this much more than I actually did. 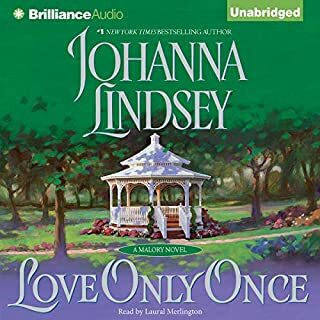 Laurel Merlington has done "okay" jobs on other Lindsey novels but when narrating the parts of the male main character her voice takes on an almost robot"ish" tone. Also, even though this is fantasy/romance many of the words in the book seem mispronounced, and I have caught a few that are in fact mispronounced (example: Challen, Tedra's lifemate is supposed to be pronounced as Challenge without the G. If you put as much emphasis on detail as I do this will annoy you too much to enjoy having someone else narrate for you. I was unable to enjoy this purchase, and find I am unable to complete the listening experience. Male main character had a robot"ish" voice that ruined the reading for me, and some words were, and seemed to be mispronounced. Did Heart of a Warrior inspire you to do anything? I was unable to finish the experience. This is fun story. The dialogue is really good. I enjoyed it very much. 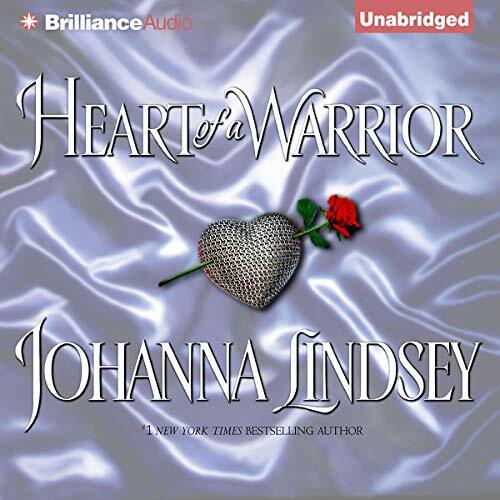 Where does Heart of a Warrior rank among all the audiobooks you?? ?ve listened to so far? 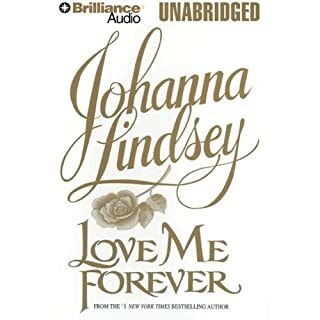 I normally love all of Johanna Lindsey's books and own many of them but this was a bit complicated. There was a lot of explanation in the 1st chapter and I kept waiting for the story to start. It eventually does and gets better. Narration was good EXCEPT for our main man which yes she very very much makes him sound like a robot. love this series.. and all of her books! I've read this series at least 6 times. I absolutely love it. When I had the chance to get this I snapped it up. I wish audible had the first 2 books in the trilogy. I want to say more about it but I absolutely hate spoilers, so I won't do it to you by going into details. Happily Ever After, Romantic, Wonderful characters, Page-turner, Great world building, Unpredictable, Original, Easy-to-read/listen, Entertaining, Action-packed, Twisted,Steamy, Funny, Whimsical. 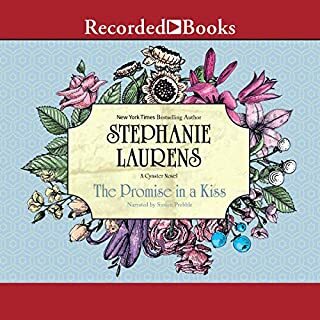 Should consider adding the additional books in this series to Audible. Cant believe only the last book is available. Johanna Lindsey, yes, Laural Merlington, no. It was hard to have one with the reading, however actually reading the book it is our steadfast hero. Michael Page was pretty good, I prefer when men read, dunno why. So, I've read this book many, many times and have always loved it. However, the reader makes our very manly hero sound like a robot. Very, very distracting and it eventually got to the point that I was kind of making fun of it in my head when I knew there were going to be upcoming lines. *sigh* Excellent book to read on your own though! Good story but narrator destroyed it. Narrator's attempt to produce a male warrior voice produced a poor computer like personality and sound and it was very irritating. That is the only drawback to this recording but it's s big one. Really boring. Disappointing. A waste of my time and my money. I wish to return it. Enjoyed the book to a point, although found it a bit strange. The narrator with the voices was a bit off putting.